Layer count - 4, thickness - 1,5mm. Solder mask - "Elpemer SD 2467". Surface finish - "HASL O-C 61". Min. line width - 0,3 mm. Min. drilled hole - 0,6 mm. 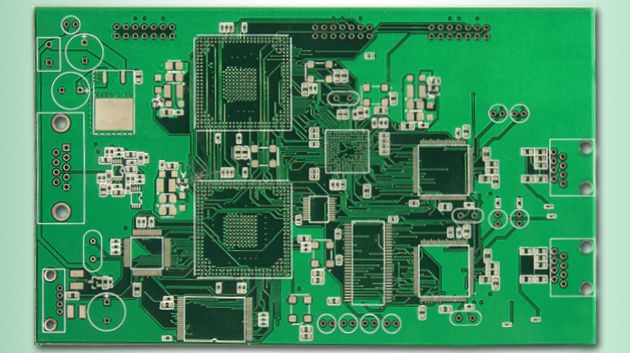 Double-sided printed circuit boards kit. Base material: FR4-1,0 18/18. 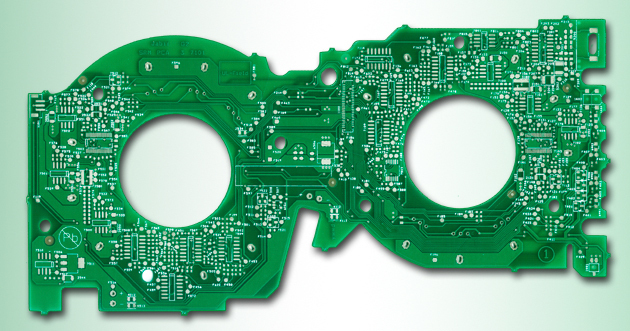 Solder mask - XZ-501T. 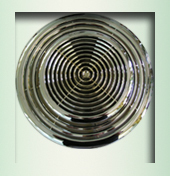 Hole and line plating - Atotech's concentrates. Min. 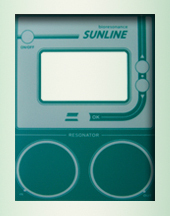 line width - 0,1 mm. Min. drilled hole - 0,2 mm. 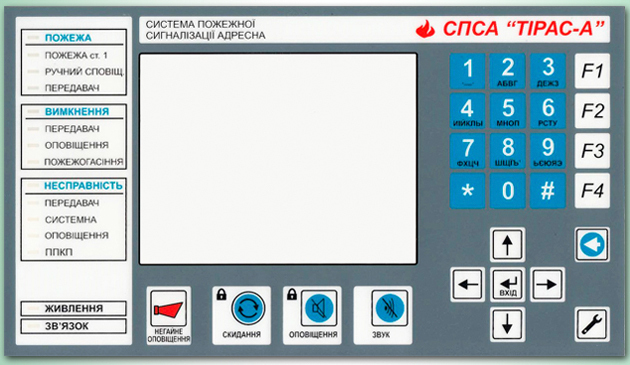 Surface finish - "Stannatech 2000". 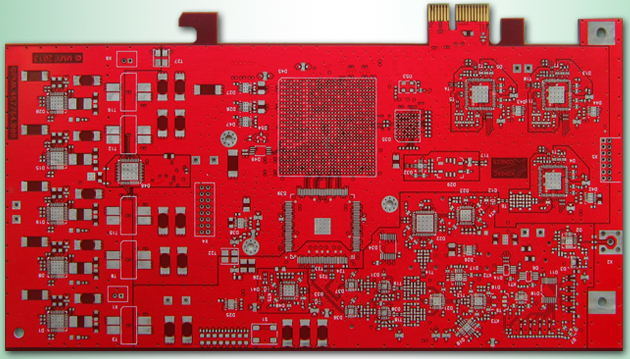 16 layers; thickness - 1,5 mm. Solder mask - "Elpemer SD 2437". Surface finish - immersion Tin, "Stannatech 2000". Min. line width - 0,15 mm. Min. line space - 0,15 mm. Min. hole size - 0,3 mm. 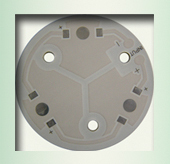 BGA pitch - 0,9 mm. Metallic finshes for edge connectors - Galvanic Ni3/Au1. Contouring - routing. Material FR-4 NEMA L1-1 standard. Solder mask Elpemer SD 2457 SM. 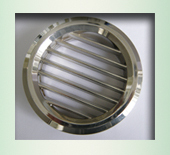 Surface finish - immersion Tin Stannatech - 2000. 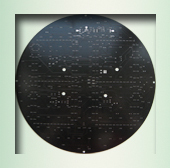 Composed of: 4 double-sided printed circuit boards. 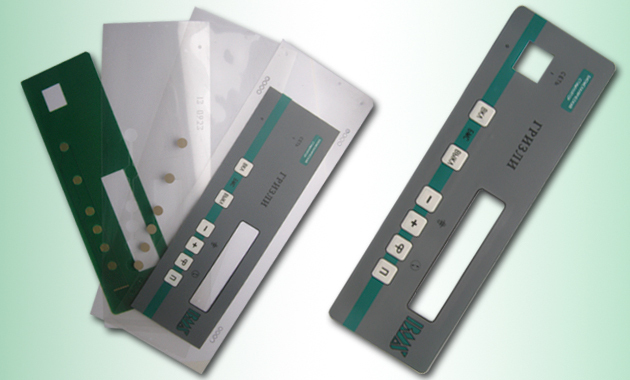 2 single-sided flexible printed circuit boards. 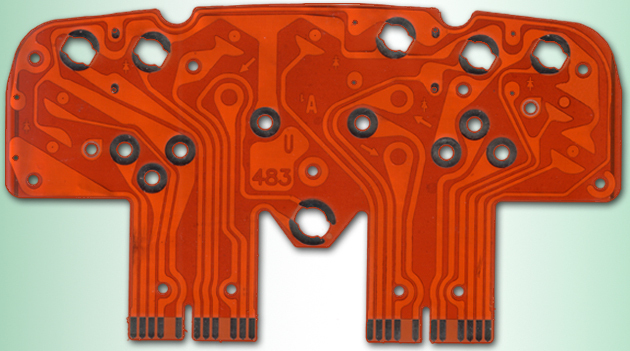 1 double-sided flexible printed circuit board with plated-through holes. 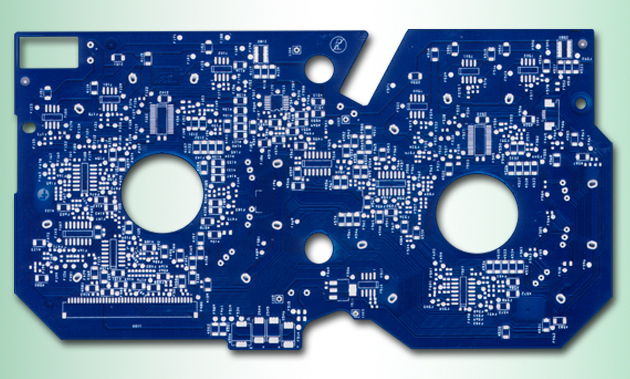 2 heatsink aluminum plates. Base material: FR-4, copper foil-clad polyimide KCL. Surface finish - immersion Tin. 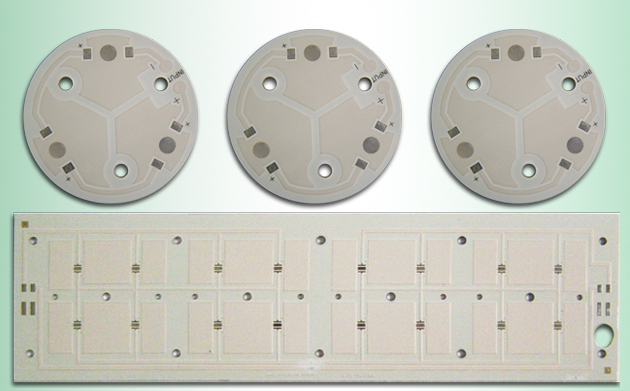 Rigid base material : FR4 - 0,1 - 18/18. 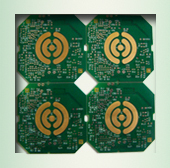 Flex base material: Copper foil-clad polyimide - 0,1 - 35/35. No flow prepreg. Min. line width - 0,15 mm. Min. drilled hole - 0,2 mm. Surface finish - immersion Tin. structure: 1. Overlay. Material: Autotex film FX-150, MARAFLEX legend colours. 2. Spacer with adhesive. Material: Polyester film, thickness 150 µm. 3. Circuit layer. Material: Polyester film, conductive silver paste. 4. Spacer with adhesive. Material: Polyester film, thickness 250 µm. 5. Switching circuit board. 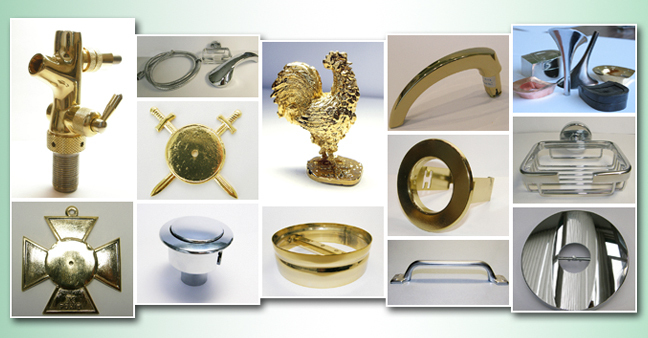 Material: FR-4, Metallic finshes Ni 3/ Au 1. Base material - Rogers - 1,5 35/35. 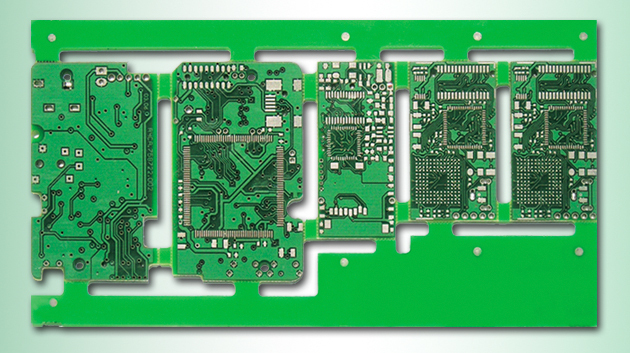 Aluminum 1550, thickness 1,5 mm. T-preg:thermal conductivity 2.0 W/m-k, dielectric breakdown voltage no less than 60kV. 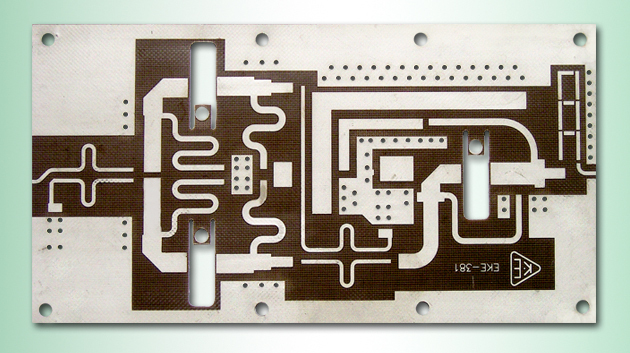 Copper foil thickness 70 µm. Solder mask Elpemer SD 2497 SM. Surface finish - "HASL O-C 61".